Continuing our look at the Superman Treasury books, it’s time to check out Superman vs SHAZAM! And boy, is that an appropriate title as both heroes spend most of the issue fighting against each other in an epic slugfest. 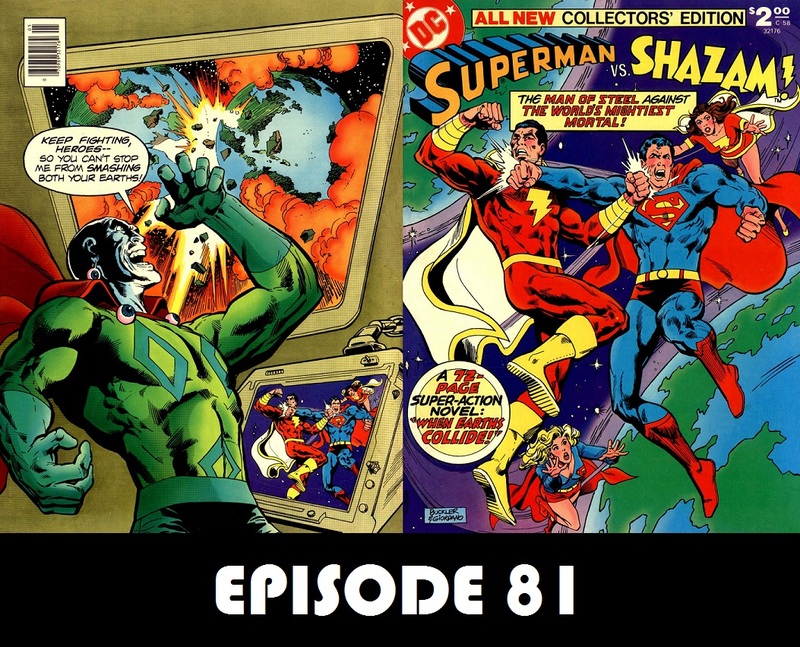 Joining me is a major fan of the original Captain Marvel, J David Weter, who puts his Superboy and the Legion segment on hold, as well as work on PADSMASH, to check out one of his favorite comics. 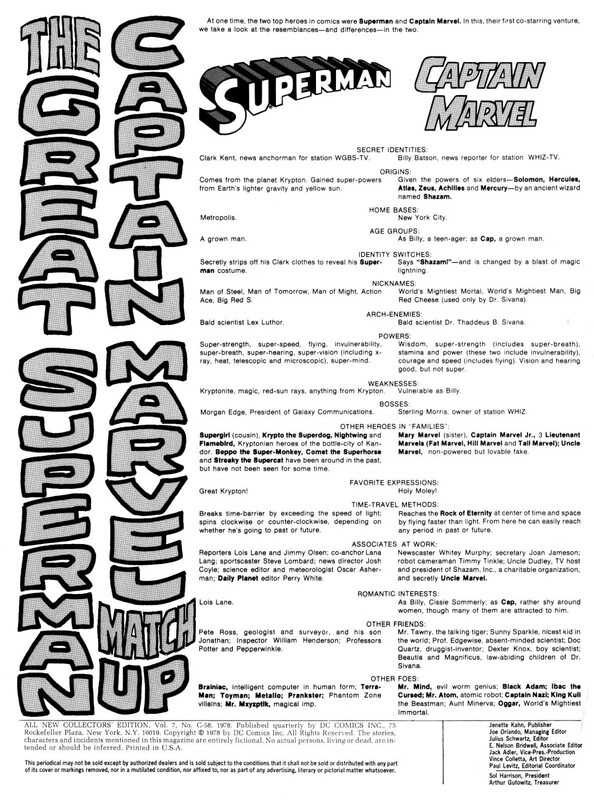 Also, as mentioned in the episode, here is the inside back cover comparing Superman and Captain Marvel.